Great product and delivery Just in time, can i get black edge only? Nice case. Makes phone look much bigger. 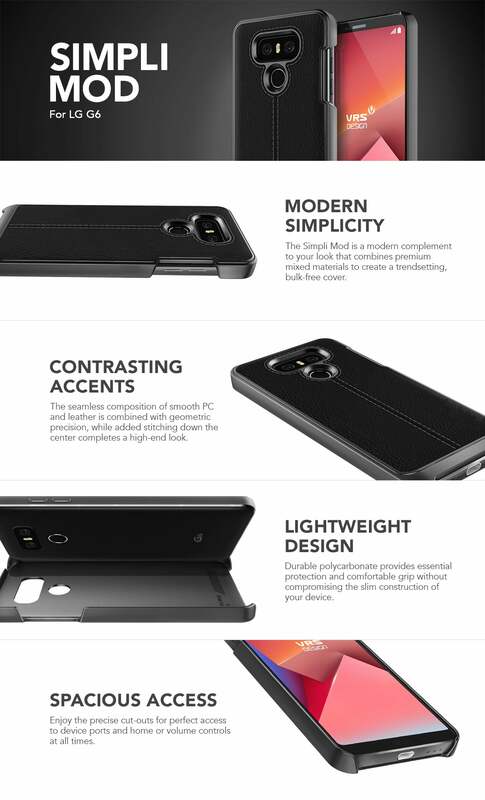 I bought my last case for my LG from vrs design and I was not disappointed again when I bought this one. They're two different designs and they both are perfect for my phone. Very sturdy. Very secure. I never have to worry if I drop my phone with this case. And last but not least the design and craftsmanship are beautiful. The contours of the edges provide nice feel the hand, and the raised lips around the front offer decent screen protection when placed face down on a flat surface. I've dropped my phone only one time since receiving the case and the phone is still protected with only a small rub mark in the corner of the case. I'm only noticing it now that I am inspecting it. It is a good looking case that doesnt add much bulk. Feels slim in my hand. 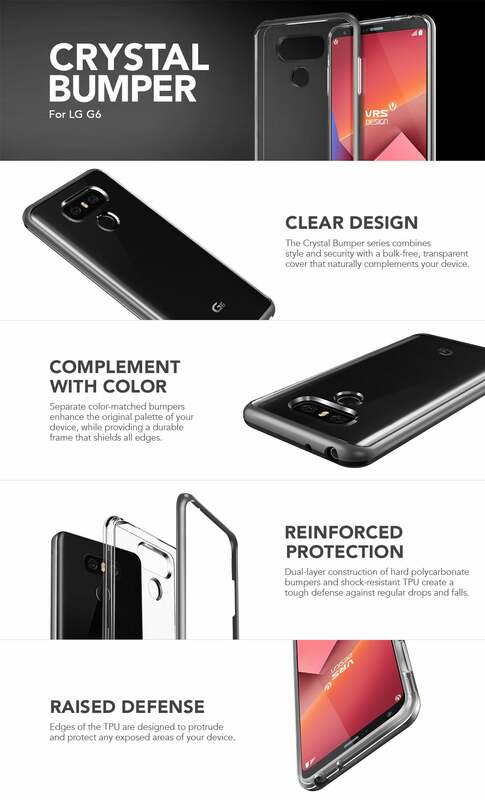 Exists hundreds of cases and shields for my LG G6 out there - this one from VRS Design has both the best looks and quality in my opinion. 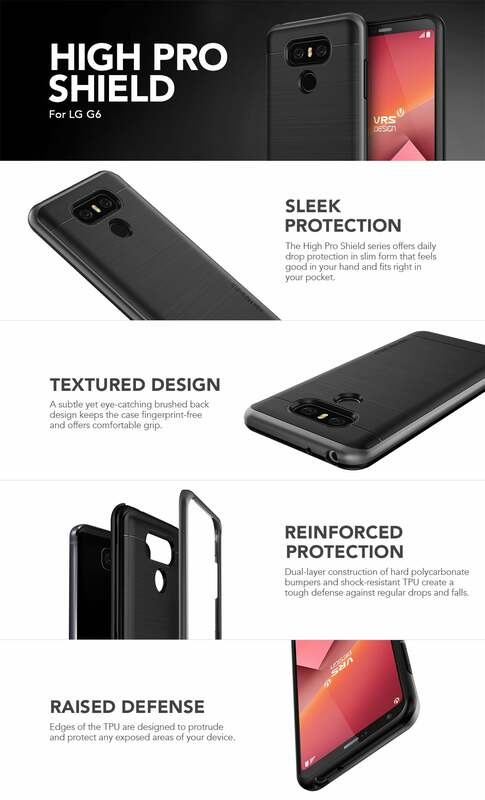 Didn't dare to use my new phone before i recieved this High Pro Shield Case, smartly enough, because I have dropped it a couple of times since. Therefore some scratches on the case of course, but no harm at all on the phone, still as new. Love it! Designed for perfect compatibility, the Genuine Leather Diary is specifically crafted to be both functional and stylish. It not only provides full protection for your device, but also has space for up to three (3) cards and extra cash. Keep your device secure in a hard frame with Premium Leather. 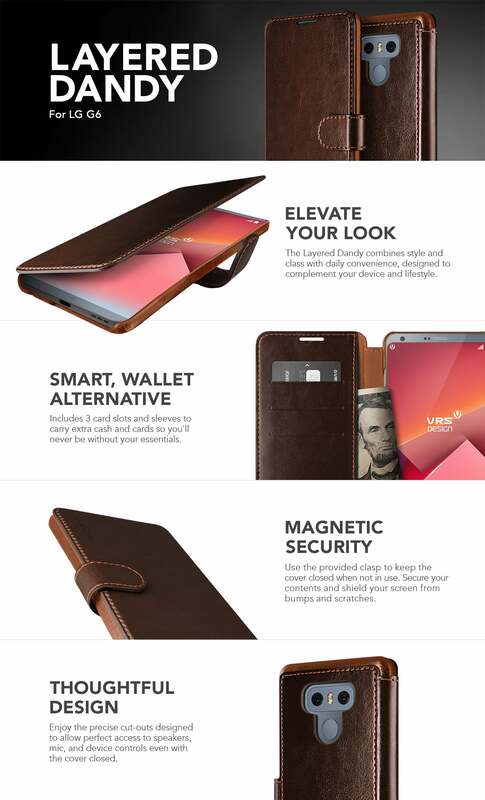 Enjoy the smart, and convenient way to keep your valuables secured all in one hand. Designed for modern users, the Simpli Mod is crafted for essential protection with lightweight design. Hard PC body is accented with PU leather back to form protective and stylish cover. The slim design allows everyday pocket-friendly protection. 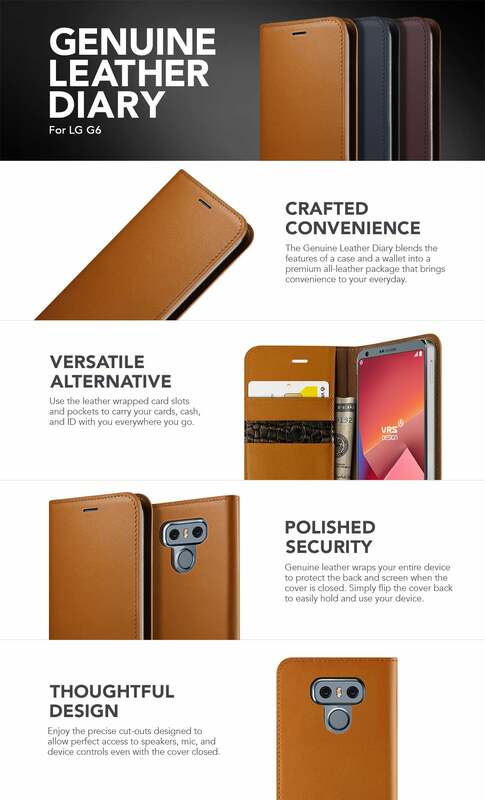 Enjoy the protection of both PC and PU leather back layers while highlighting the look of your device. John S. Reviewed by John S.
David W. Reviewed by David W.
Jack D. Reviewed by Jack D.
Great fit excellent looking with excellent value.